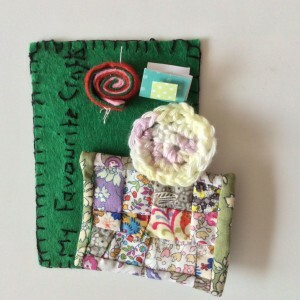 Category Archives: Diary of a Crafty Fairy! I do love flitting about between projects! 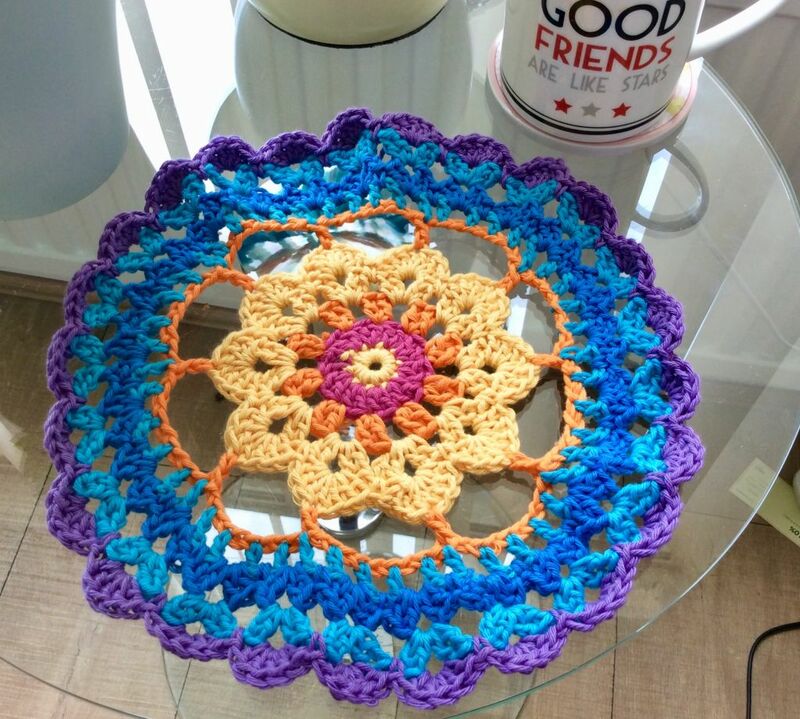 This week my weaving obsession has subsided a bit and I’ve concetrated on a bit of crochet mandala making! 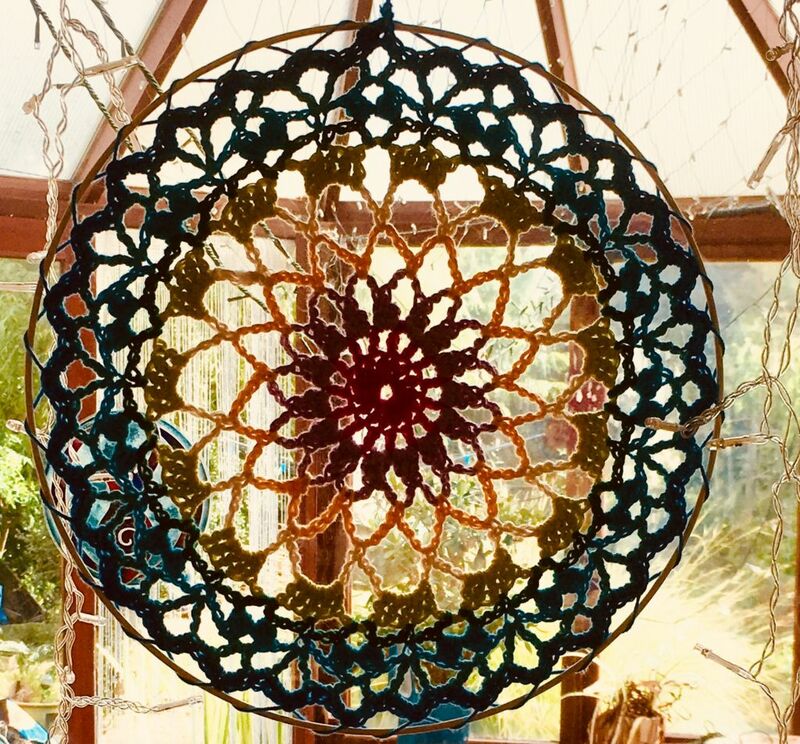 I follow Attic 24’s blog and she recently posted about her mandalas and included some links to patterns. It was just the right time for me as I had some Stylecraft Classique Cotton to use and I always love trying new yarn so bought some Ricorumi as well to extend my colour choices! PFirst I made the ‘Positivity Mandala – a free pattern from Attic 24. My colour choices represent the hot summer sun in the bright azure blue summer skies! 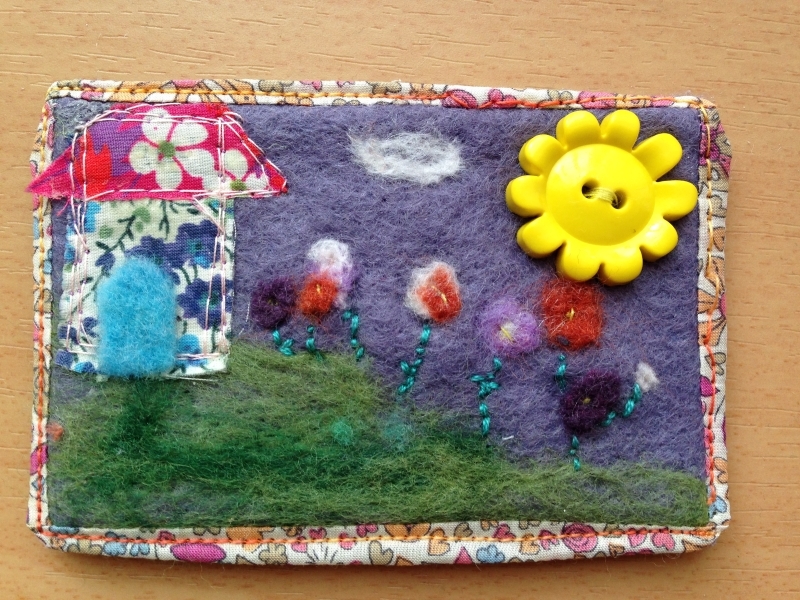 It would make a lovely table mat! Next I made the Dreamcatcher Mandala pattern by The Loopy Stitch. 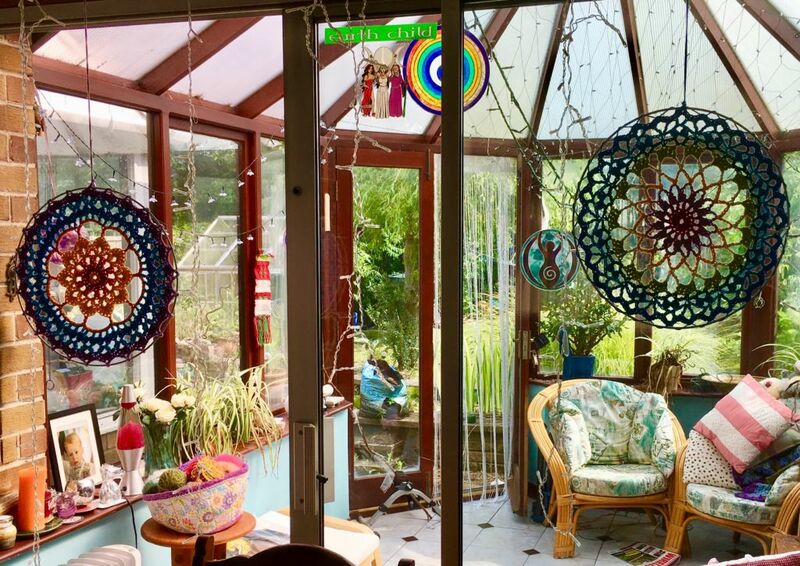 Although both would make pretty table mats I decided they would have more effect hanging in our summer room inbetween the fairy lights so they look good Day or night! Attic 24 used metal craft rings to hold the mandalas and so I did the same. I got my rings from Glitterwitch who had them in stock and had very reasonable postage! Now the only question is ….. how many do I make?!!! 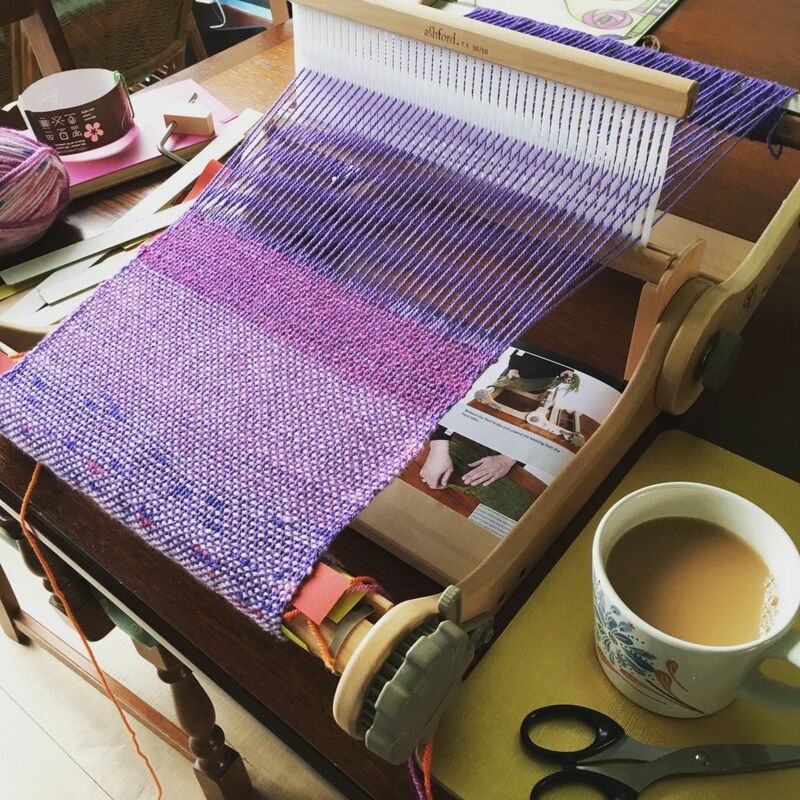 I’m still thoroughly enjoying weaving on my Ashford Knitters Loom! I’ve improved my edges quite a bit and have experimented with houndstooth patterns and different yarns. I just managed to make scarves in time for Christmas presents for family members but I was in such a rush I wrapped them and gave them away before taking pictures! However, I did take some of my first attempt at a Houndstooth patterned scarf! 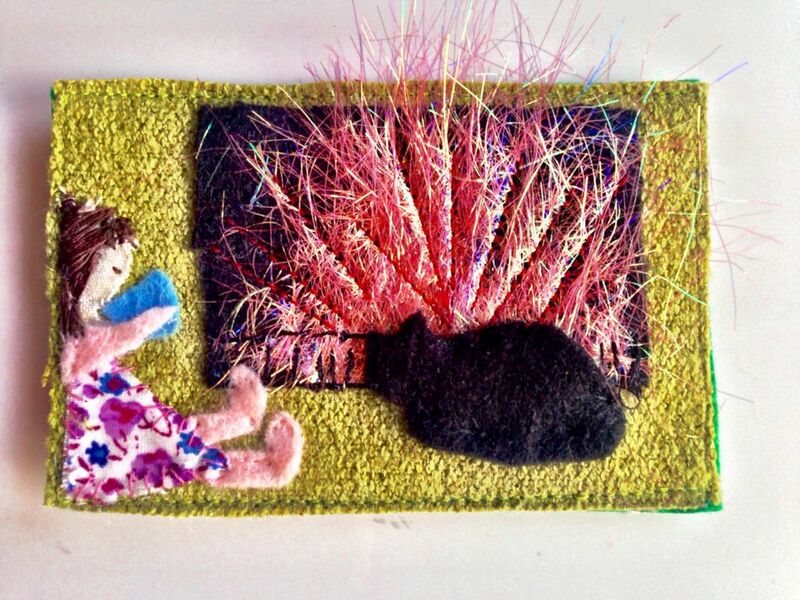 I didn’t realise weaving would be so addictive and that I would want to make bigger things! So as part of Christmas presents I received a double Heddle kit and some extra heddles! My next goal is to weave with these to achieve double width cloth. 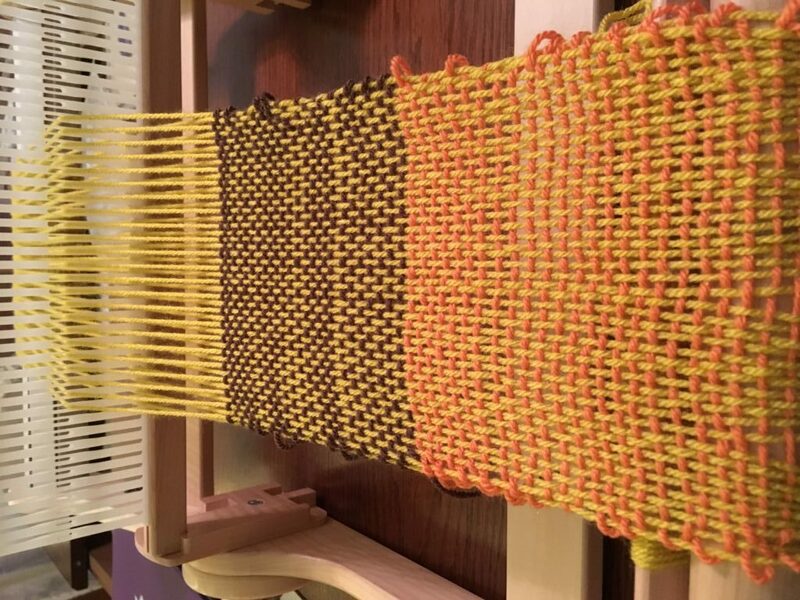 Although my loom is only small at 12 inches it is very easy to use and comfy for the arms. 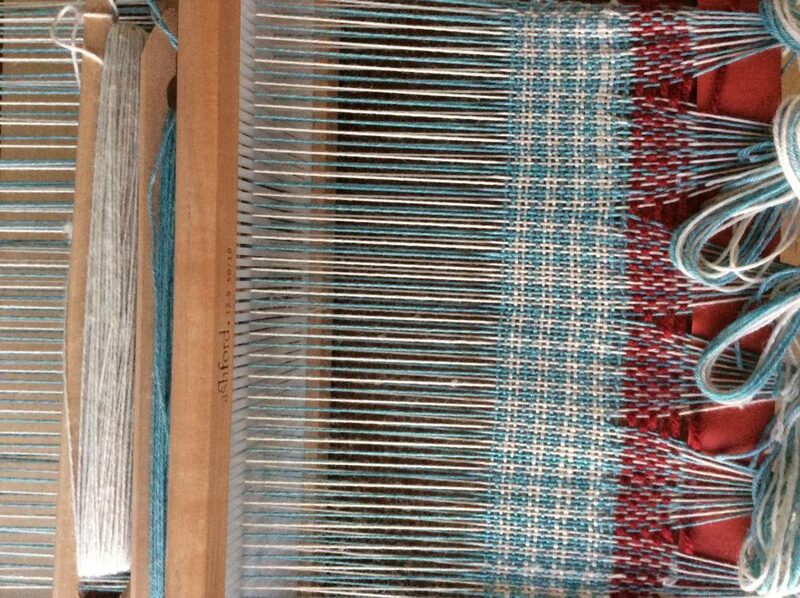 By using the double Heddle I should be able to weave a 20 inch cloth without the extra strain on the arms that a wider loom brings. 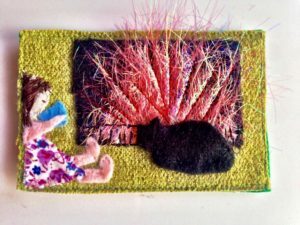 Weaving is not something you can do quickly. Warping Up takes time and patience, but I find it soothing and a gentle art to practice, not something I want to rush anyway. I’m hoping to include a warping up video in my next post! Exciting times for Patchwork Fairy, I’ve bought a loom! I already sew, quilt, crochet and knit and for a long time I’ve wanted to learn spinning and weaving! 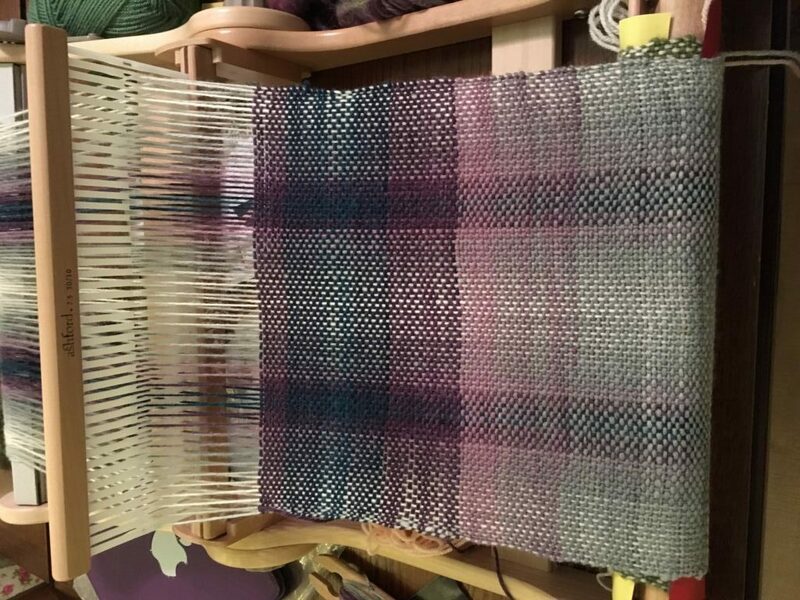 Two week’s ago I bought a brand new loom! I actually started buying one in July in order to get an early start on Christmas presents but that didn’t work out and I ended up buying a different one a couple of week’s ago. This is an Ashford Knitters Loom! 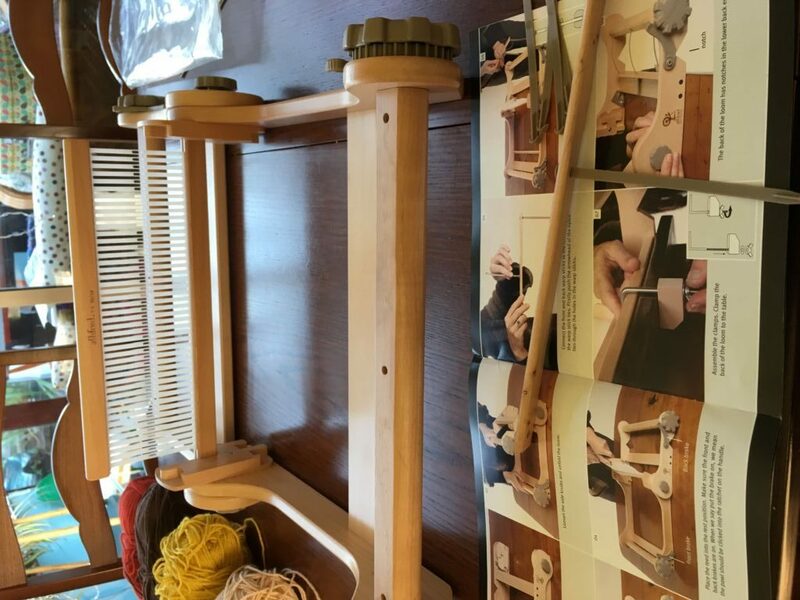 It’s the same as the plain Rigid Heddle Loom but comes already assembled and ready for use! It’s only a small 12 inch loom and even now I’m thinking I could quite happily have one twice this size. However, mine is very light and portable and also folds up, so doesn’t take over the dining room table in the way that a wider one would. I bought it online from Wingham Wool Work and I was very impressed with their customer service. Although you pay on ordering they don’t actually take the money from your account until they have despatched your goods. From ordering to playing with my loom took about 4 days! It arrives with everything you need to start weaving, except the yarn, but that was never going to be a problem in this house!! The box included two different sized shuttles and a coloured pictorial guide which was very good. I managed to set up the whole thing by myself with no need for DH to interfere help at all!! I started practising with my Stylecraft acrylic as this is a very good yarn at a reasonable price. It’s smooth and soft, so easy to learn with, although I wasn’t very good keeping the sides straight at first. edges aren’t too good on this first ever weave! but I did get a bit better with practice, and help and advice from the Rigid Heddle Weaving groups on Facebook I managed to create a sort of scarf! People are so kind and will take the time to get newbies out of pickles and disasters. 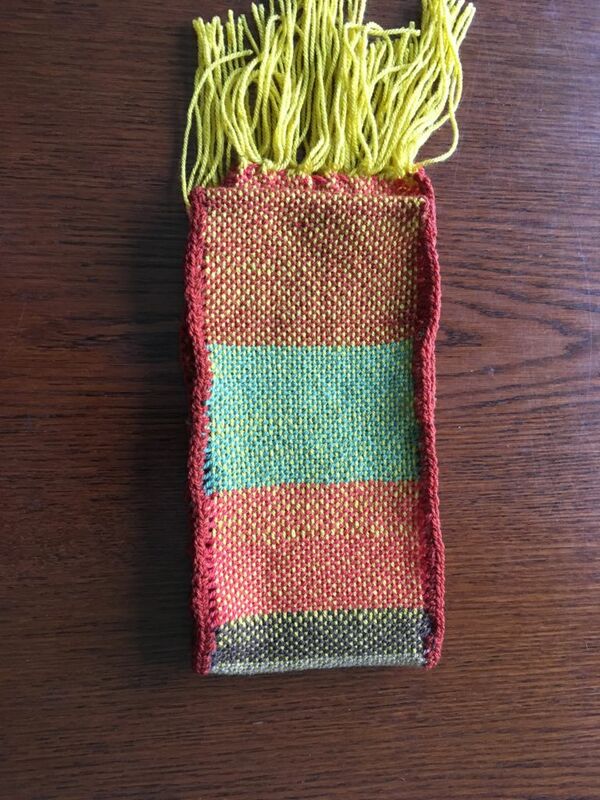 The green wool below was a wool and acrylic mix and so hairy the weaving ‘sheds’ wouldn’t open, but in no time at all, with one post in the Facebook group I had half a dozen suggestions as to how to solve it! very hairy yarn! 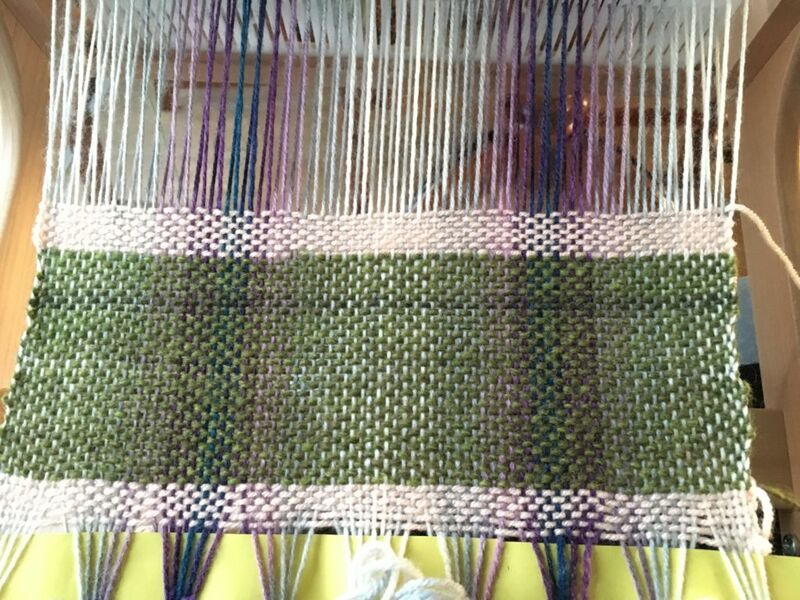 Wool and Acrylic mix on the warp and mohair on the weft. 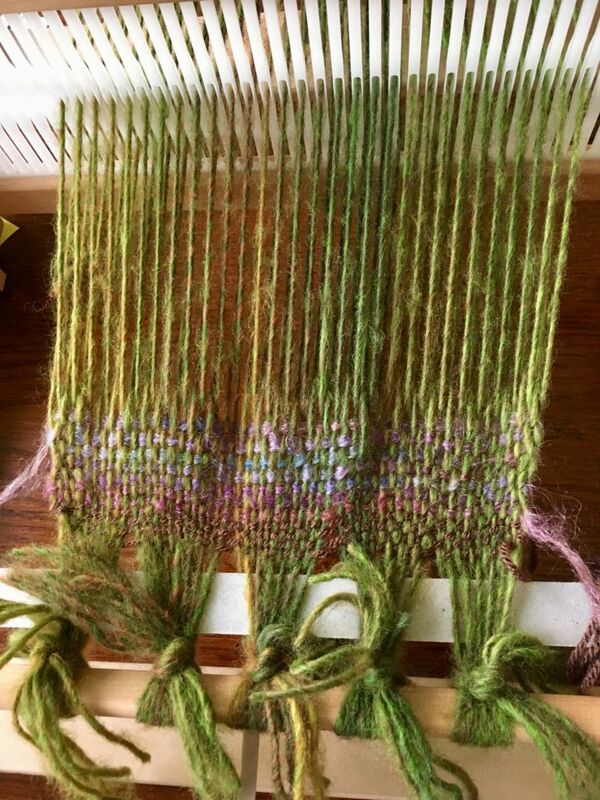 It was much easier using the hairy yarn on the weft with a smoother double knit by Hayfield called ‘Spirit’ on the warp. 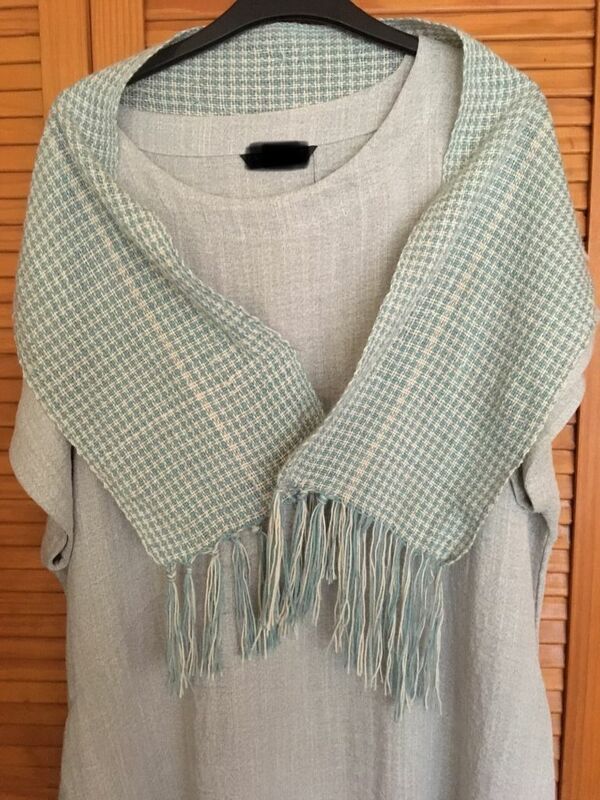 I find weaving very relaxing and productive, in fact it’s much quicker to complete say a scarf in a plain weave than it is for me to crochet or knit one. My next task is to weave DH a scarf for winter and then I’m going to try out some more expensive hand dyed wools from my stash! 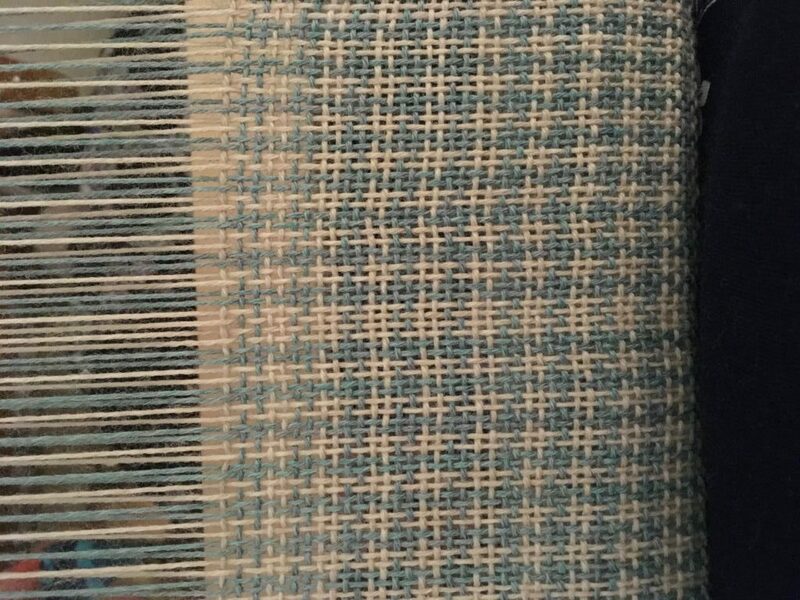 I don’t know if weaving appeals to some unconscious need to create and provide but I found myself incredibly happy and at peace sitting in a low comfy chair overlooking the garden, cup of tea to hand and the sound of rain pattering down on the conservatory roof! With this new skill, come the Zombie Apocalypse, I’ll be able to make my own clothes on the run! 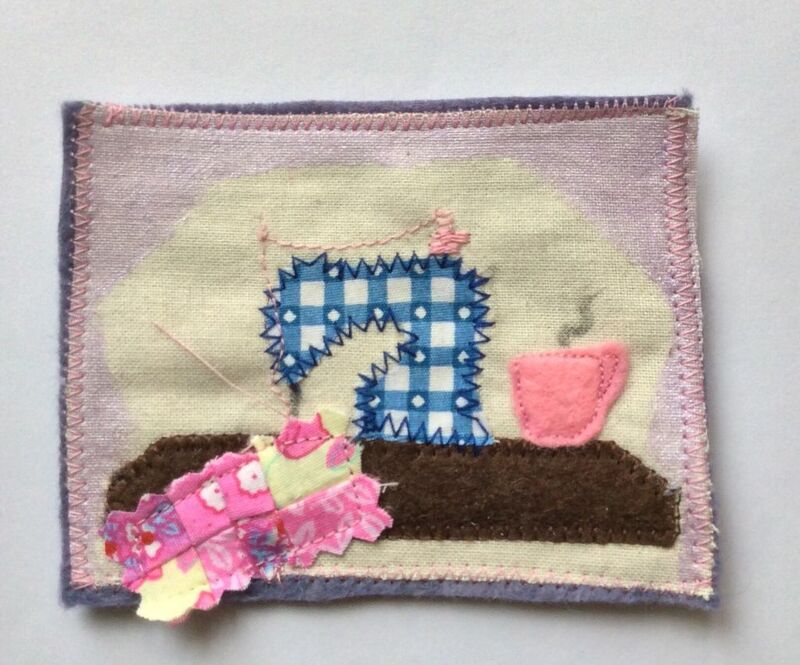 weaving and a cup of tea ..bliss! Wow  so much going on here I haven’t had time to write! 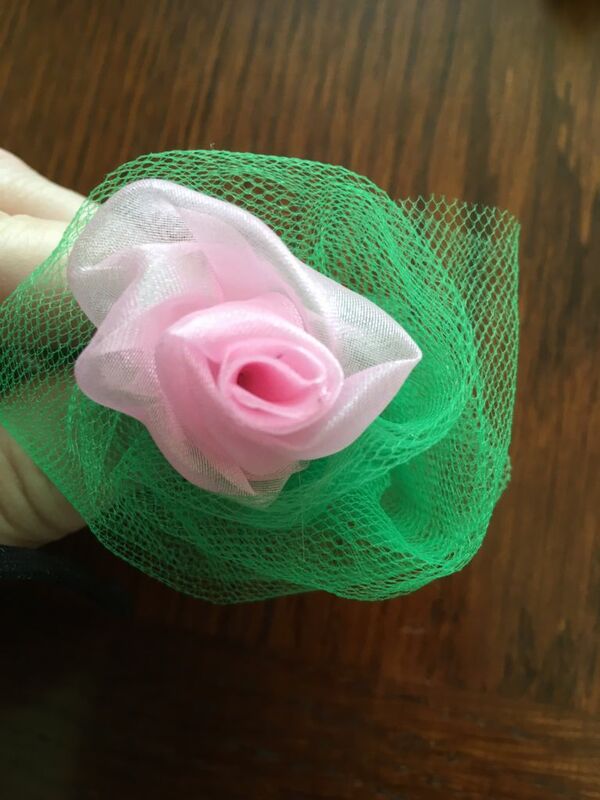 I’ve been having fun reviewing products for Minerva Crafts – hint – I’ve been making roses and you can see what I’ve been up to over on their blog! But here’s a sneak peek! I’ve also been busy making a baby blanket for my fourth grandchild who is due to be arriving in 4 weeks! We had a lovely time at the Baby Shower. 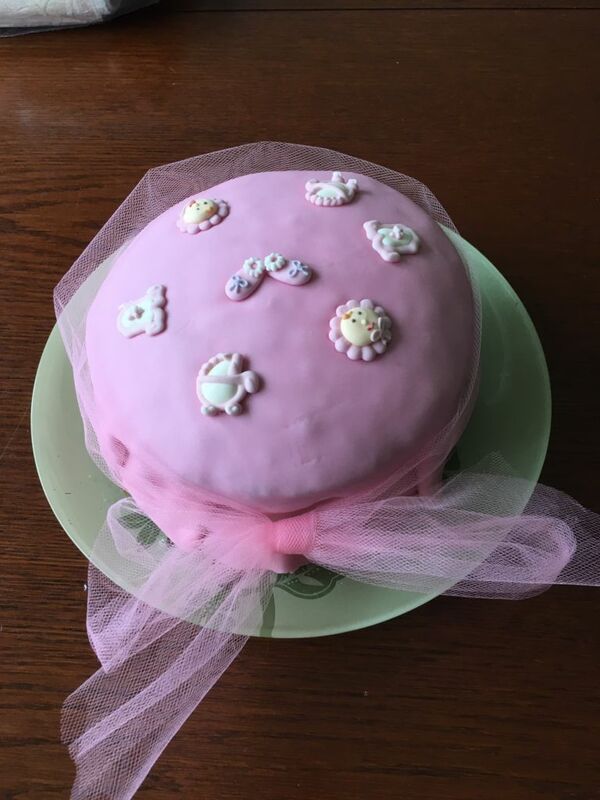 I had great fun making the cake! Rose and Raspberry Victoria Sponge Cake. I totally forgot to take a picture of the pram quilt I made and the little pink and grey dress. Have to ask the parents-to-be to take some before granddaughter arrives!! 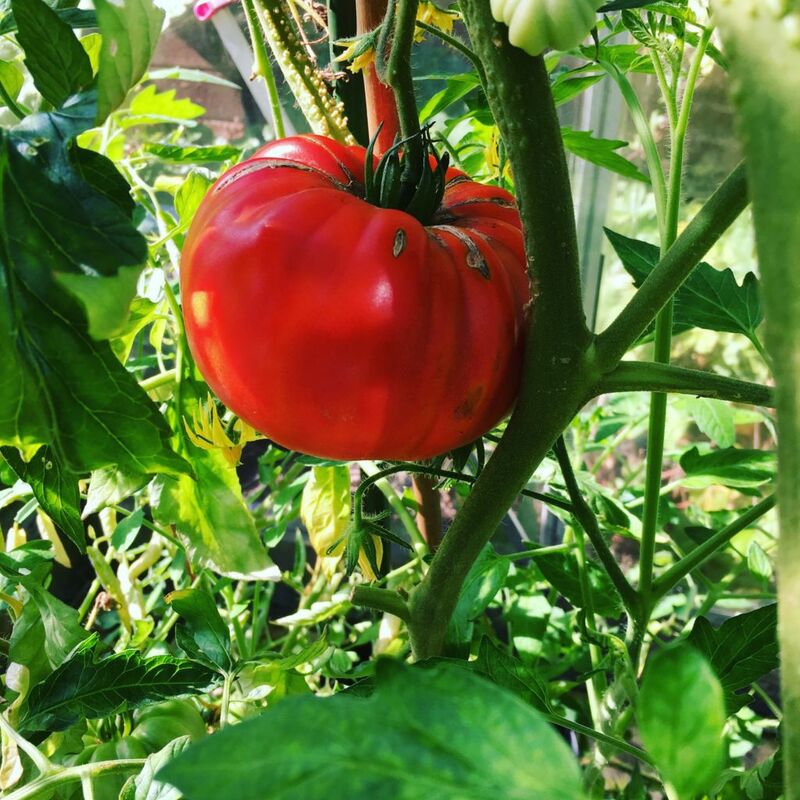 Big, red, shiny beef tomato. So I’ve finished my new range of handmade patchwork fairy dresses and I’m almost ready to put them in my Folksy and Etsy Patchwork Fairy shops! It’s taken quite a while to complete them as handfinishing is quite time consuming! 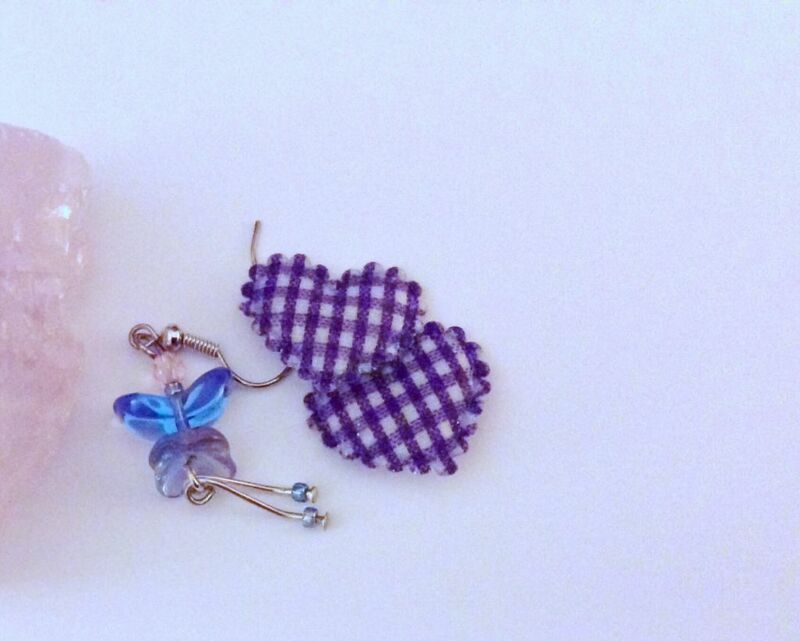 I’ve loved creating these – it’s just my kind of thing – Fairies, pink, purple, ribbons, floaty tulle and crochet! My first dresses are all small sizes while I test the market. I can make them in larger size to order if necessary. 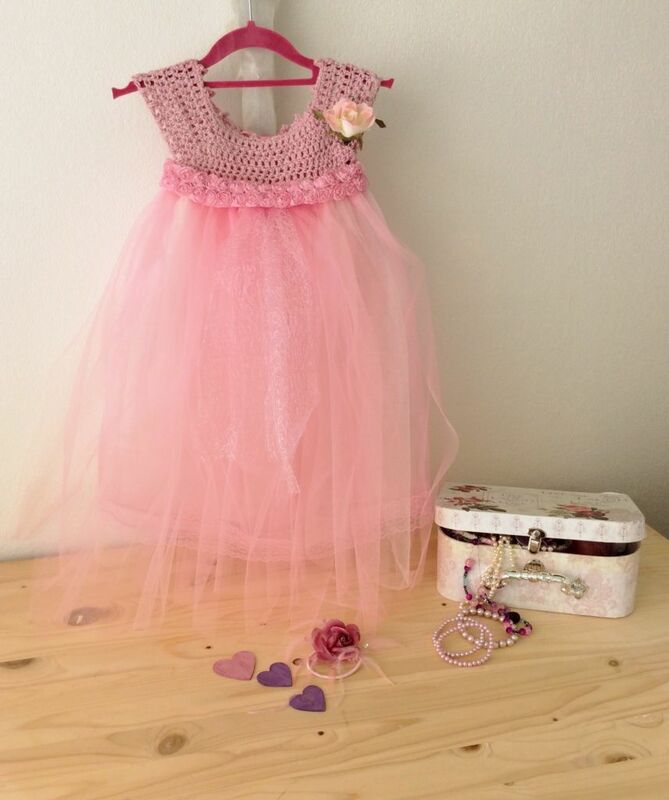 Already a friend has requested an adult size so she can float about playing Fairy Godmother!! Doesn’t taking photos take a long time?! Much harder than you’d think to try and set a scene and get the lighting right. I took a lot of photos trying to get the perfect one, not sure I’ve really got it right yet though! I enjoyed crocheting the bodices in some lovely tactile yarns. 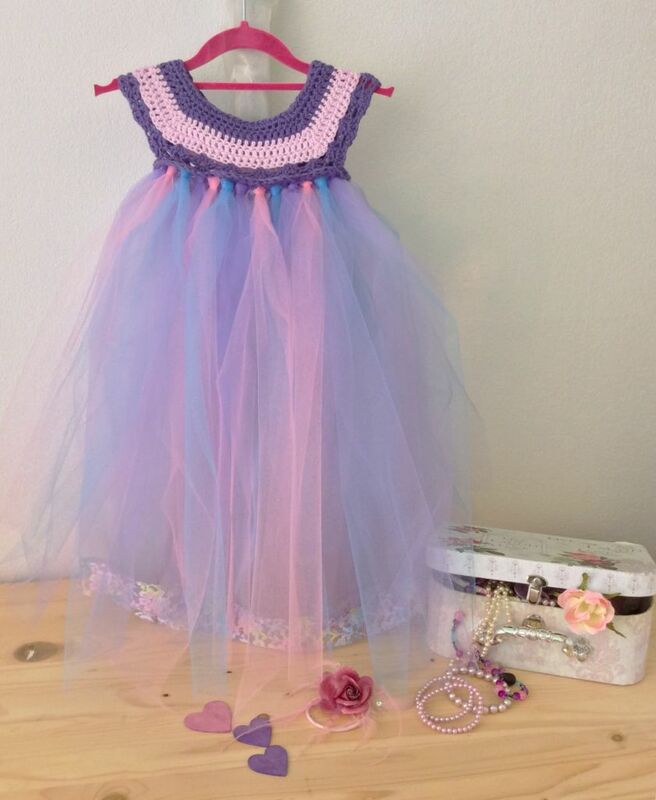 Violet and Pink soft cotton bodice with pink, purple and blue tulle. 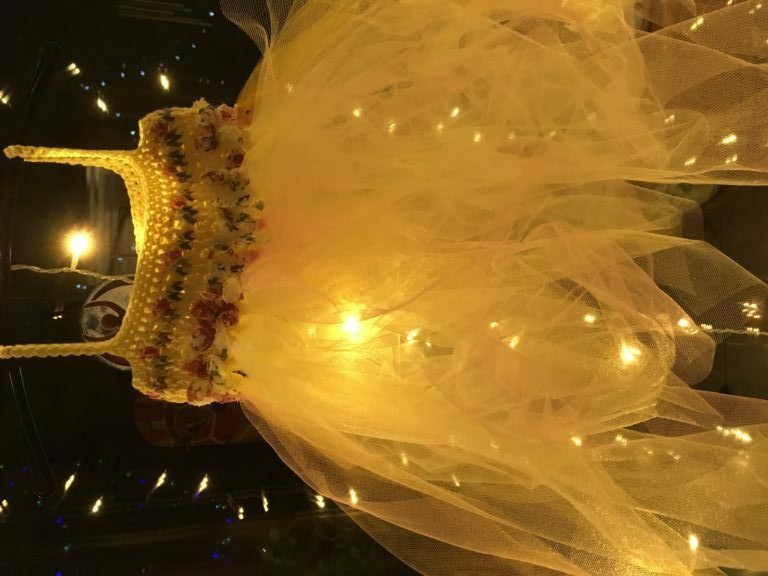 Lemon cotton bodice with delicate tulle skirt. 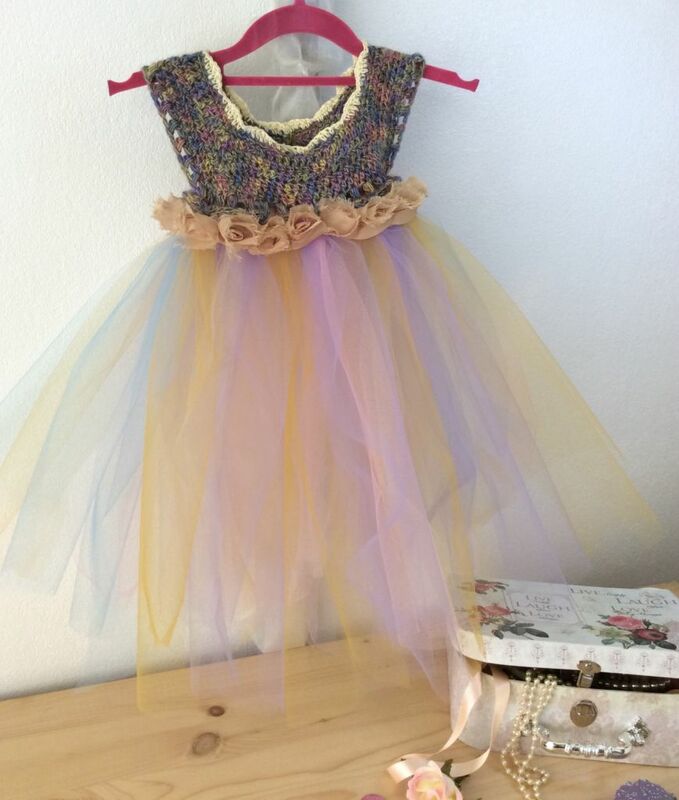 Silk and cotton and merino wool bodice with delicate pastel coloured tulle skirt. These are not everyday dressess so I’m hoping to appeal to the market of special occasion dresses – birthdays, weddings, flower girl, family photo occasion etc. This is a departure from things I’ve previously sold on Folksy and so I’ve run the shop down deliberately so I can launch the dresses as a new line. One comment I’ve had from my test pictures is that fairy dresses should be sold with wings – I’d welcome any comments about them and whether you agree with the wings idea – I wasn’t originally intending to sell wings! It’s been quite a while in the planning but I’m almost ready to open up The Patchwork Fairy Etsy shop selling the new range of patchwork fairy dresses. 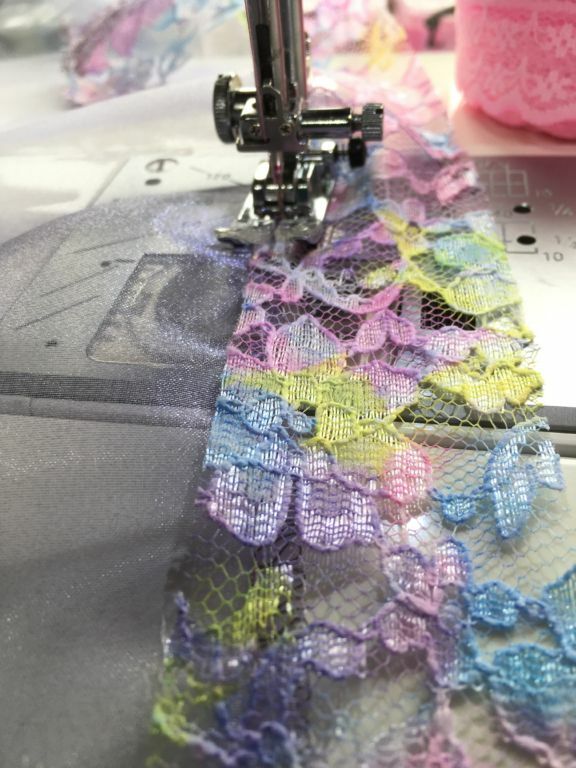 There’s lots of tulle, lace and ribbon and it’s all very pretty! 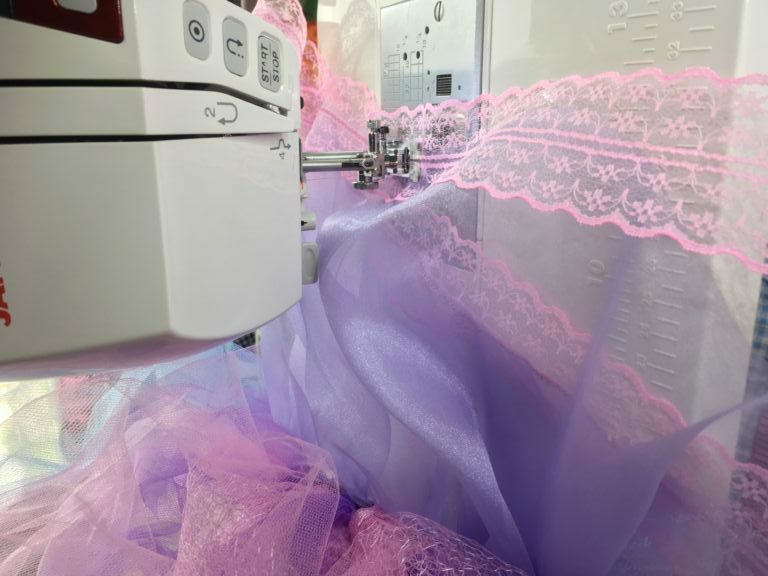 Sewing some lacy trim on a fairy underskirt! 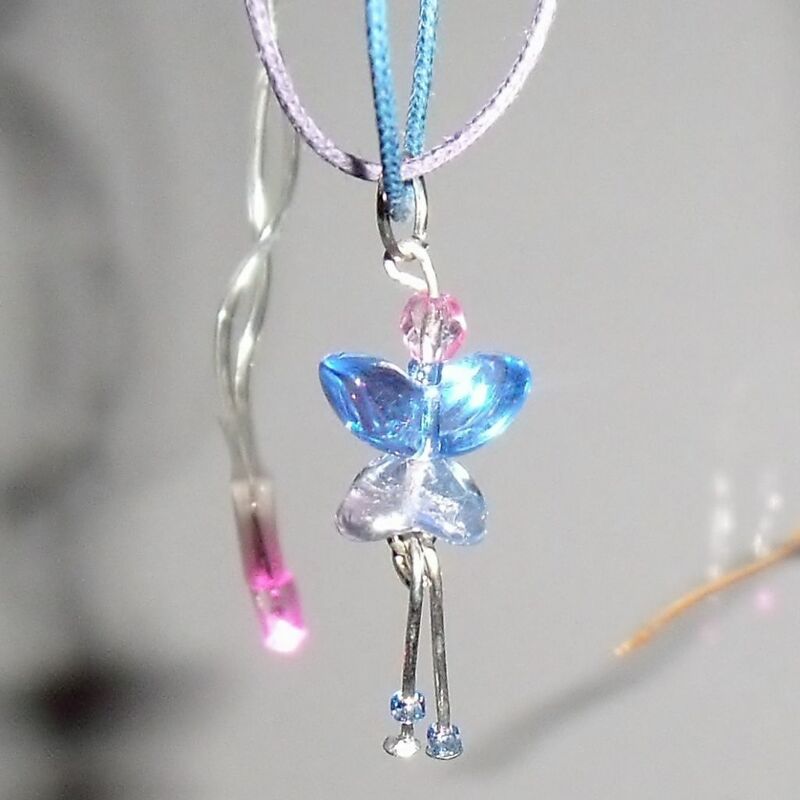 As well as the new range of dresses there will be the fairy necklaces and earrings I’ve been selling for quite a while now. Here’s a sneak peak at a sweet little lemon yellow dress! 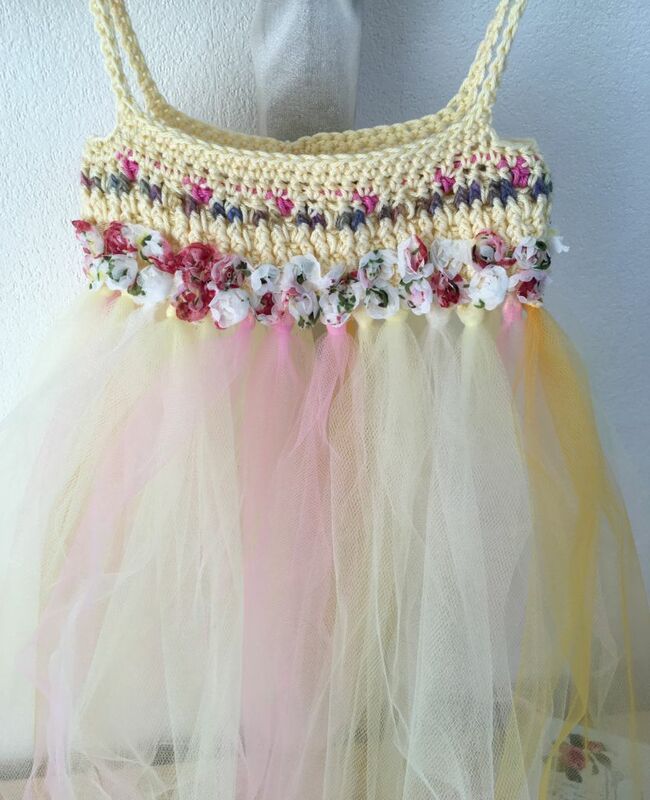 The bodice is crocheted in lemon cotton with little pink flowers. 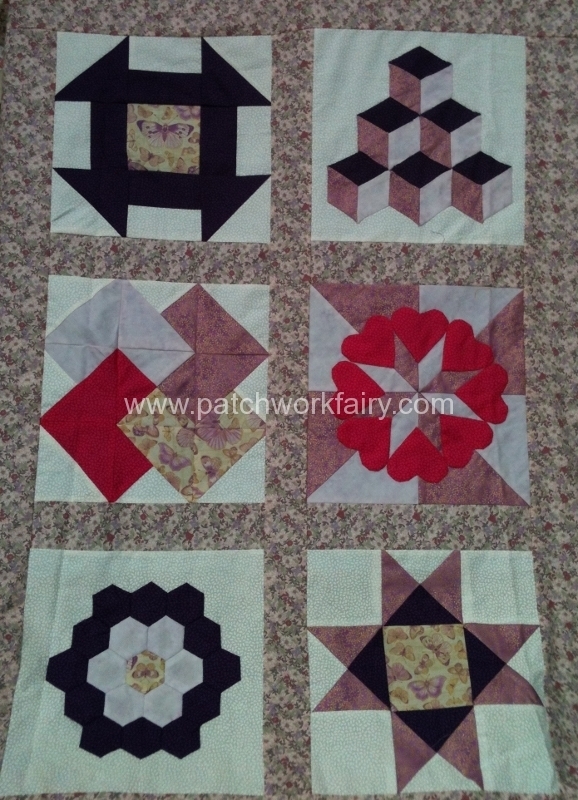 Around the middle of the dress is a trim of yellow, pink and white fabric flowers. 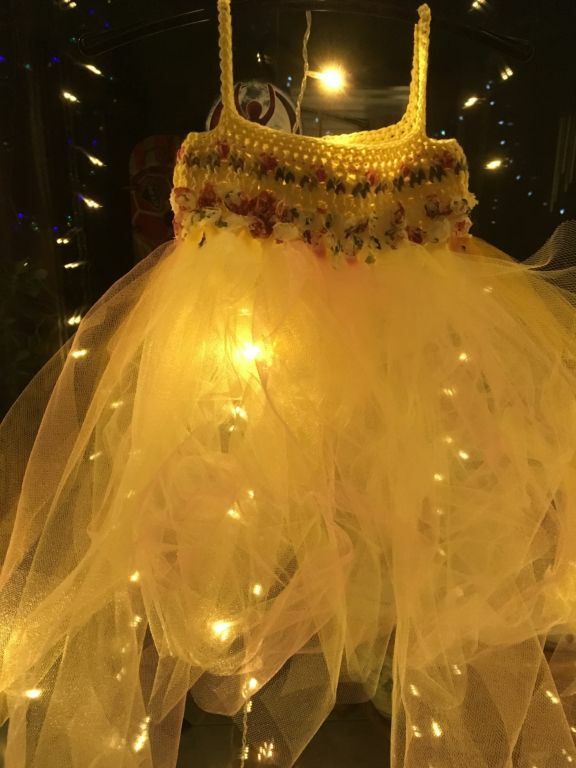 Lemon yellow cottton bodice with yellow and white tulle skirt. 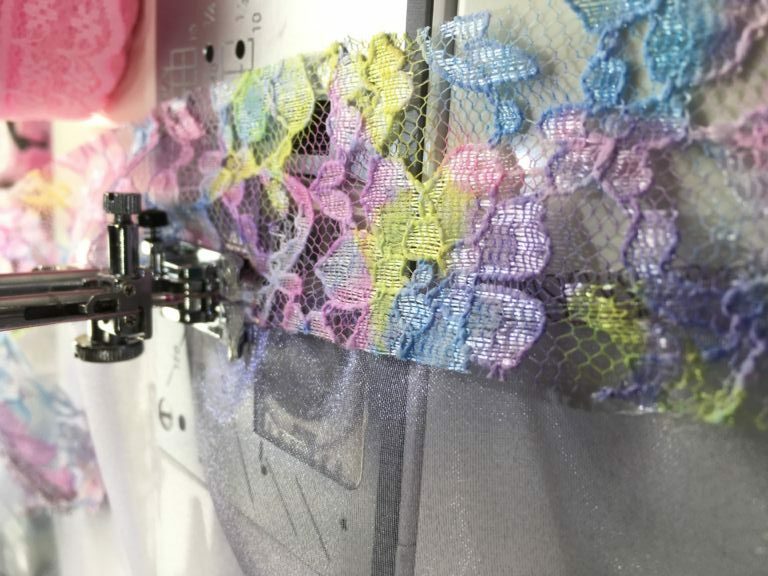 So to find out when the finished items go on sale and grab an opening discount check out the Patchwork Fairy Facebook page over the next couple of days! Well I’ve taken part in Artist Trading Card (ATC ) swaps before but this was my first very berry handmade mini hoop swap! 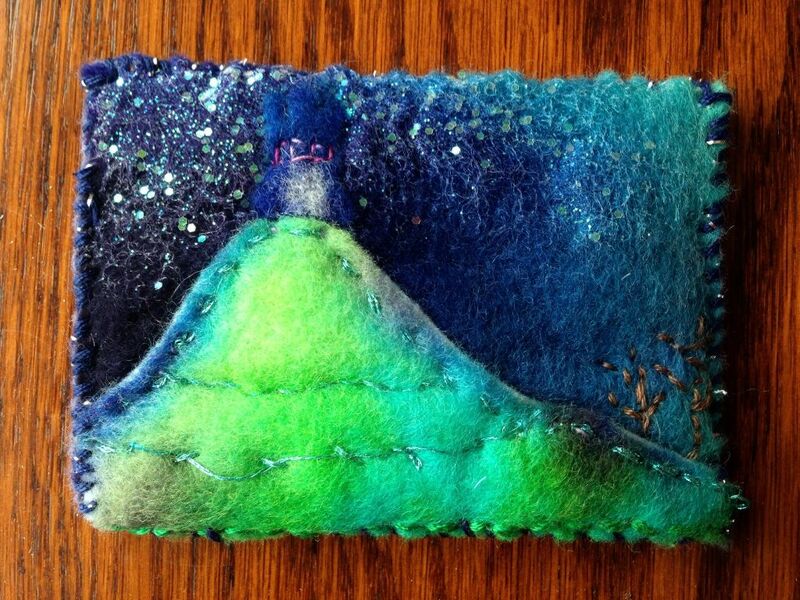 The ATC swaps involve making a small credit card sized original hand crafted piece of art. 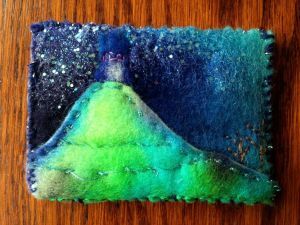 There must always be some sewing but the ATC can be a multi-media extravaganza of whatever takes your fancy. The mini hoop swap is very similar except that the work of art is encompassed within a mini hoop of 4-5 cm in diameter and has some embroidery. 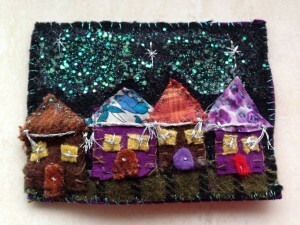 In the past my ATCs have been very diverse and they haven’t included embroidery so this was a new challenge. There was no theme to this swap just some brief details from the recipient of my hoop as to what colours she liked. Ali from Very Berry Handmade sorts out all the swap partners and sends off the details to everyone. 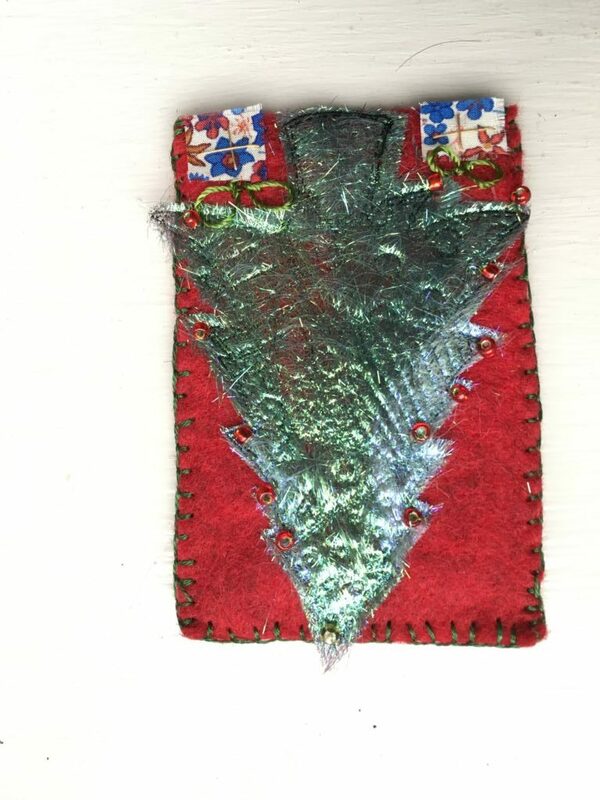 It’s a secret swap so the recipient of your art is not the person who sends one to you! Here are some of my ATCs from previous swaps. 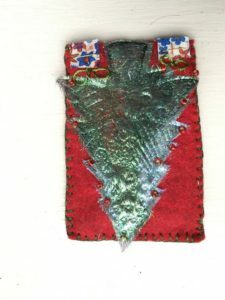 My ATC I sent to my swap person! 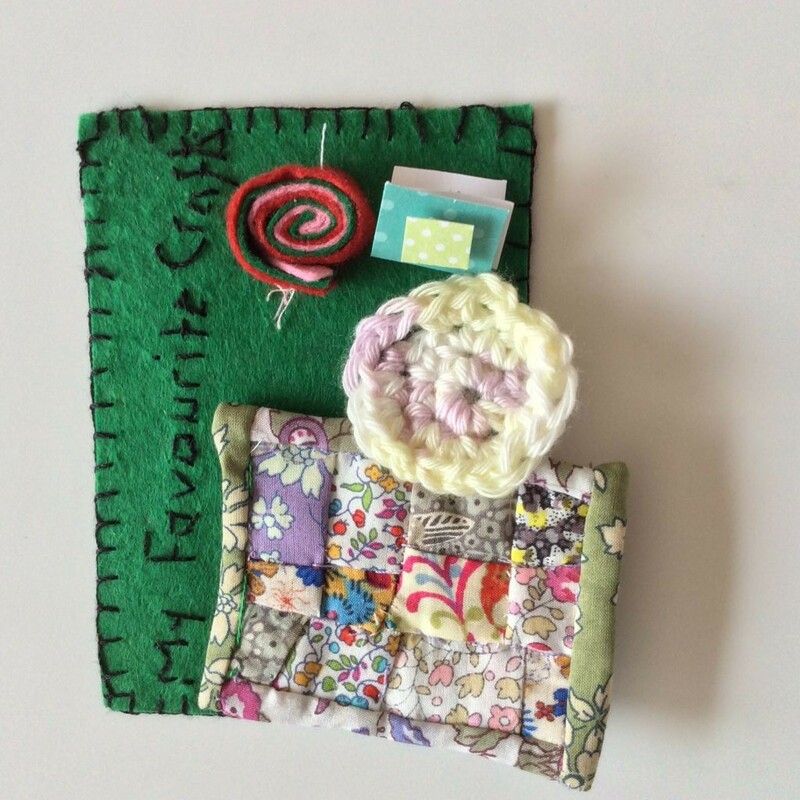 “My ATC – My Craft Room! For the mini hoop swap I took a long time to start actually making it as I just didn’t have any inspiration at all. 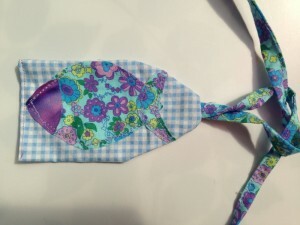 Then one evening I was idly playing with a small square of purple fabric and it struck me that folded into four it looked a bit like a butterfly! 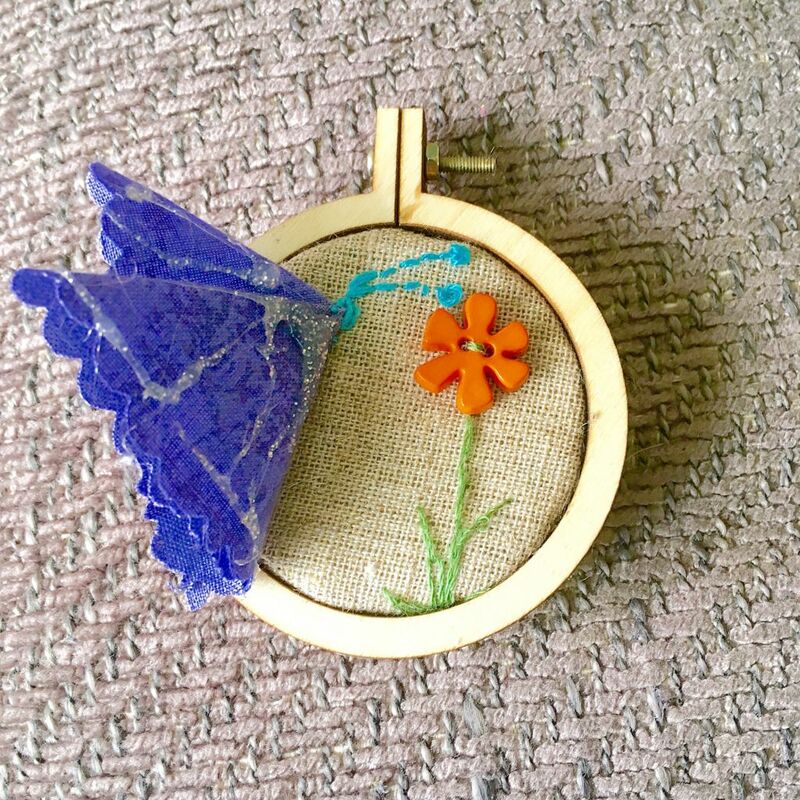 So that’s how I developed my mini hoop – I sewed the ‘butterfly’ onto some linen, then placed the hoop around it to see where I wanted it to sit, then embroidered freehand the stem of a flower, the butterfly’s antennae and sewed a button for the flower head. A little bit of silver glitter glue to enhance the butterfly’s wings and it was done! You may not have heard of Sixty Million Trebles or maybe even know what a treble is in this context? Neither did I till a few months ago. 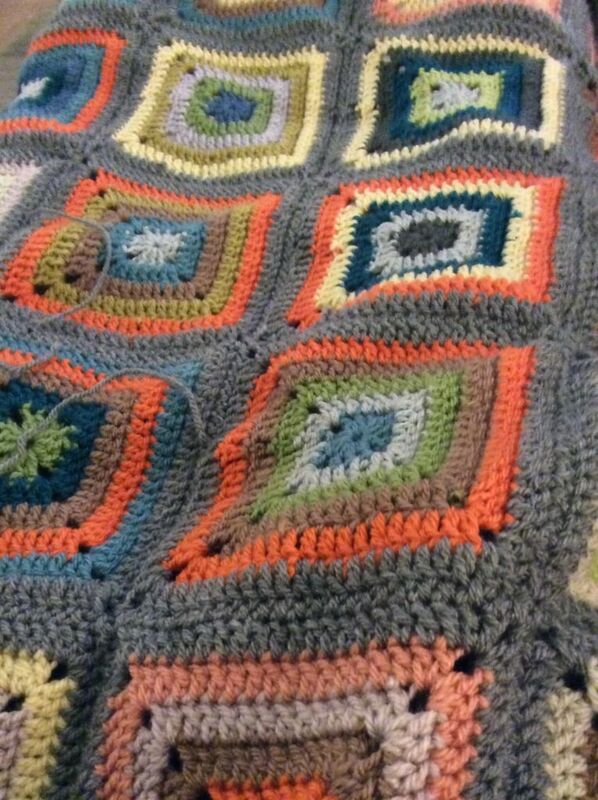 It’s really simple though, a woman who loves crochet heard that there were sixty million refugees fleeing Syria without much to keep them warm. So she had an idea. 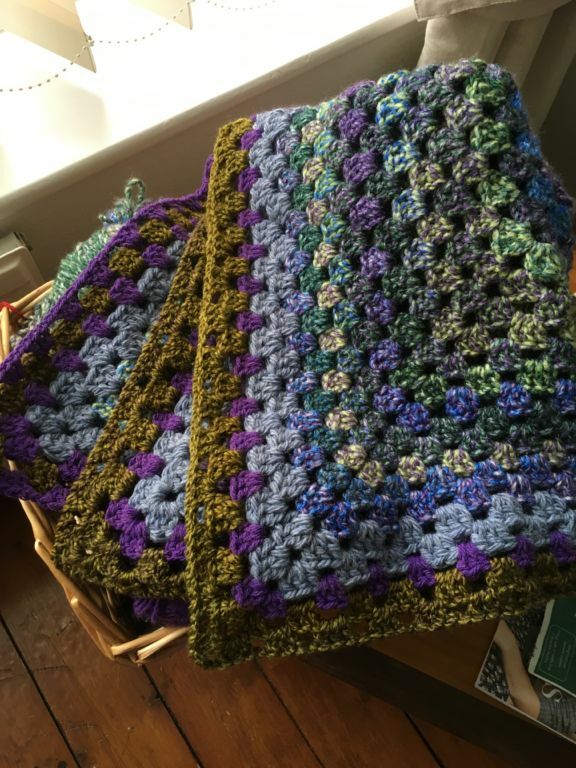 She started a Facebook group asking people to crochet (or knit) a blanket to donate to the refugees with each maker counting the Trebles – a type of crochet stitch – in their blanket and adding a tag to state the number. 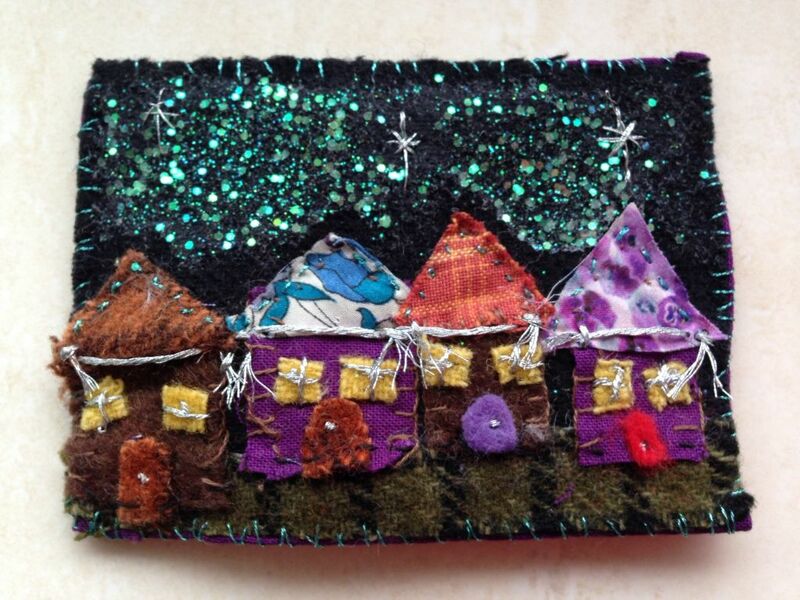 The goal is to have sixty million trebles overall, each stitch representing a life. All the blankets will be temporarily joined together to hopefully make the world’s largest blanket! 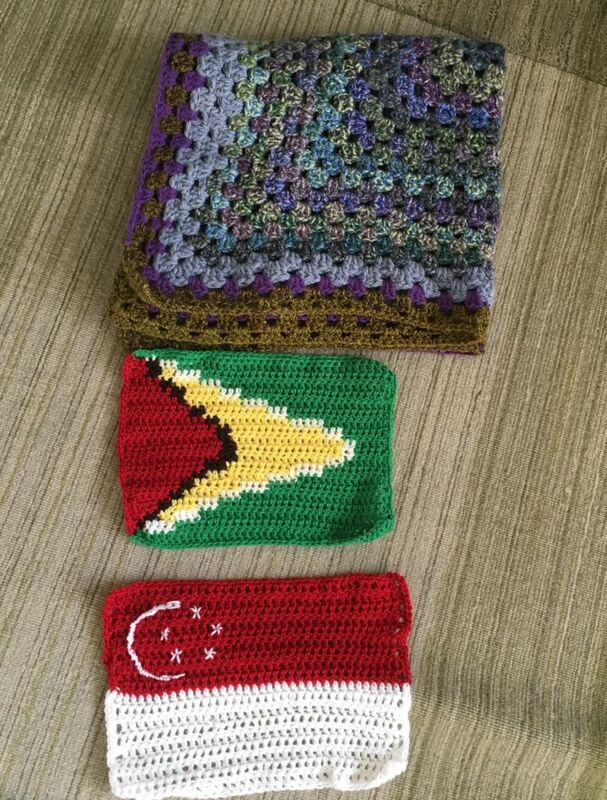 The centre of this enormous blanket will be comprised of crocheted flags of each country! Once it’s been measured as hopeful the world’s largest blanket it will be divided up back into the individual blankets and shipped out to the refugees. The idea has really taken off and people everywhere are making and sending blankets into various collection points in the UK whilst we wait to arrive at the magic Sixty Million! One stitch – one life. 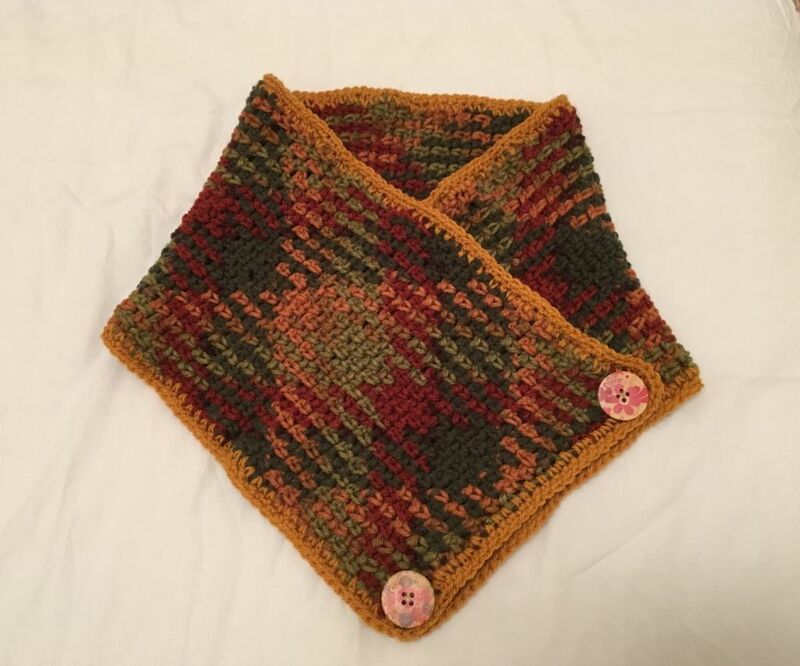 Crocheted a cowl in Red Heart ‘Autumn’ or ‘Fall’ as it’s called in USA! I’ve been fascinated recently by the planned pooling technique in crochet! It’s a method of crochet which involves carefully counting and manipulating your stitches to force an Argyle type pattern. It’s not easy! I actually used 3 diffferent hook sizes to get the patterning to work as I kept needing to use more or less yarn up in within the rows! 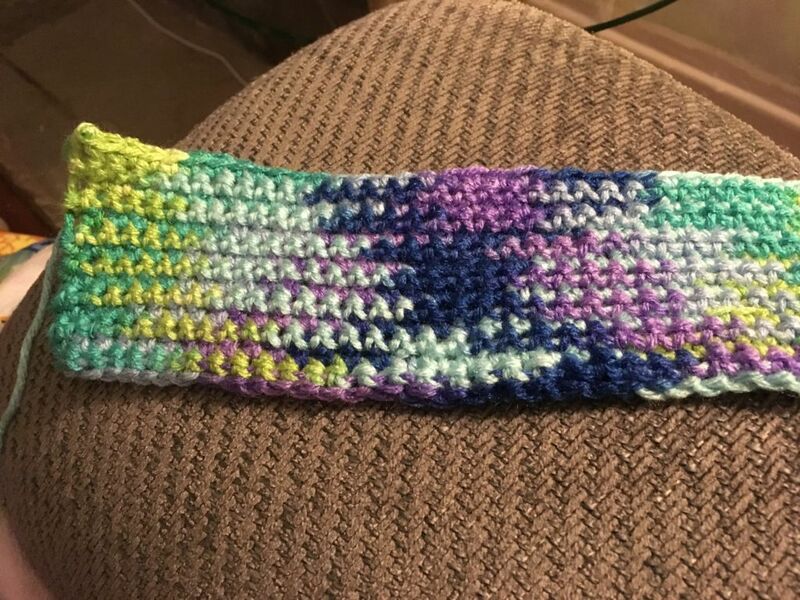 There is a very helpful Facebook group called Planned Pooling in Crochet with lovely, helpful members who advise and support newbie after newbie tearing their hair out and crying “it’ll never work! I just can’t do it!” It’s definitely worth joining if you want to try the pooling technique. This Pooling calculator is very useful too, although it’ll mean more to you if you read through the Facebook group posts first! 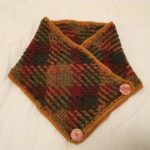 I used Red Heart super saver to make this cowl as not many UK yarns will pool – the sequence of colour change in the yarns has to be just right and even some Red Heart will not pool. Fortunately the Autumn shade above pools relatively easily. 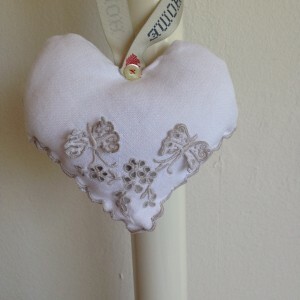 I bought a few different balls of this type of yarn whilst I was about it as it took ages to find a supplier in UK!